 Close To Hand Limited is the controller and responsible for your personal data (collectively referred to as "we", "us" or "our" in this privacy notice). We are registered in England and Wales under company number 10580521 and have our registered office at 10 Lonsdale Gardens Tunbridge Wells Kent TN1 1NU United Kingdom. Information you give us. You may give us information about you by filling in forms on our site or by corresponding with us by phone, e-mail or otherwise. This includes information you provide when you register to use our site, subscribe to any service, participate in discussion boards or other social media functions on our site, submit information to us concerning sale, acquisition, merger or investment opportunities, and when you report a problem with our site. The information you give us may include your name, address, e-mail address and phone number and financial information..
Where we need to collect personal data by law, or under the terms of a contract we have with you and you fail to provide that data when requested, we may not be able to perform the contract we have or are trying to enter into with you (for example, to provide you with goods or services or use of our site). In this case, we may have to cancel a product or service you have with us or not allow you access to our site, but we will notify you if this is the case at the time.